The man Elkanah and all his household went up to offer to the LORD the yearly sacrifice, and to pay his vow. But Hannah did not go up, for she said to her husband, "As soon as the child is weaned, I will bring him, that he may appear in the presence of the LORD, and remain there forever; I will offer him as a nazirite for all time." Her husband Elkanah said to her, "Do what seems best to you, wait until you have weaned him; only-- may the LORD establish his word." So the woman remained and nursed her son, until she weaned him. When she had weaned him, she took him up with her, along with a three-year-old bull, an ephah of flour, and a skin of wine. She brought him to the house of the LORD at Shiloh; and the child was young. Then they slaughtered the bull, and they brought the child to Eli. And she said, "Oh, my lord! As you live, my lord, I am the woman who was standing here in your presence, praying to the LORD. For this child I prayed; and the LORD has granted me the petition that I made to him. Therefore I have lent him to the LORD; as long as he lives, he is given to the LORD." She left him there for the LORD. Hannah prayed and said, "My heart exults in the LORD; my strength is exalted in my God. My mouth derides my enemies, because I rejoice in my victory. "There is no Holy One like the LORD, no one besides you; there is no Rock like our God. Talk no more so very proudly, let not arrogance come from your mouth; for the LORD is a God of knowledge, and by him actions are weighed. The bows of the mighty are broken, but the feeble gird on strength. Those who were full have hired themselves out for bread, but those who were hungry are fat with spoil. The barren has borne seven, but she who has many children is forlorn. The LORD kills and brings to life; he brings down to Sheol and raises up. The LORD makes poor and makes rich; he brings low, he also exalts. He raises up the poor from the dust; he lifts the needy from the ash heap, to make them sit with princes and inherit a seat of honor. For the pillars of the earth are the LORD's, and on them he has set the world. "He will guard the feet of his faithful ones, but the wicked shall be cut off in darkness; for not by might does one prevail. The LORD! 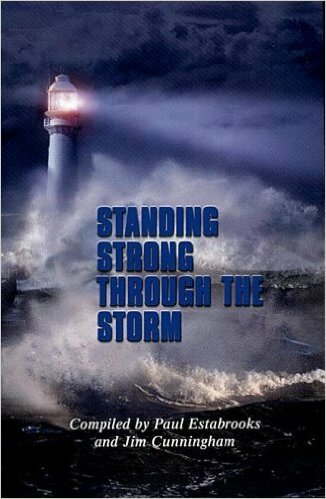 His adversaries shall be shattered; the Most High will thunder in heaven. 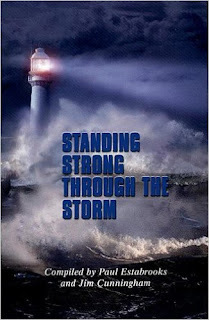 The LORD will judge the ends of the earth; he will give strength to his king, and exalt the power of his anointed." Then Elkanah went home to Ramah, while the boy remained to minister to the LORD, in the presence of the priest Eli. When the scribes and chief priests realized that he had told this parable against them, they wanted to lay hands on him at that very hour, but they feared the people. So they watched him and sent spies who pretended to be honest, in order to trap him by what he said, so as to hand him over to the jurisdiction and authority of the governor. 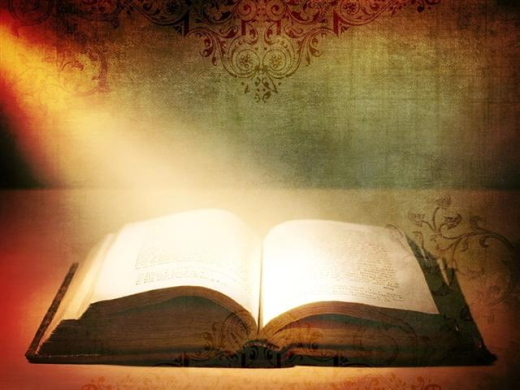 So they asked him, "Teacher, we know that you are right in what you say and teach, and you show deference to no one, but teach the way of God in accordance with truth. Is it lawful for us to pay taxes to the emperor, or not?" But he perceived their craftiness and said to them, "Show me a denarius. Whose head and whose title does it bear?" They said, "The emperor's." 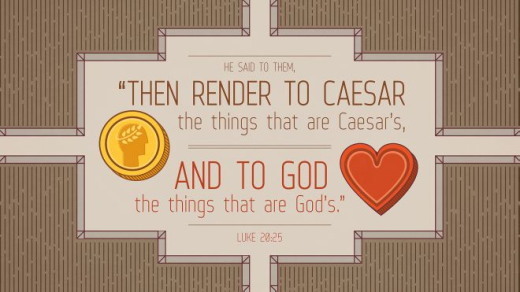 He said to them, "Then give to the emperor the things that are the emperor's, and to God the things that are God's." And they were not able in the presence of the people to trap him by what he said; and being amazed by his answer, they became silent. Now an angel of the Lord spoke to Philip, saying, "Arise and go toward the south along the road which goes down from Jerusalem to Gaza." This is desert. In the book of Acts, that is basically what it was like for Philip when an angel of the Lord spoke to him and said, “Arise and go toward the south along the road which goes down from Jerusalem to Gaza” (Acts 8:26). But Philip didn’t argue. The Bible tells us, “So he arose and went” (verse 27). It would have been understandable if Philip had questioned this or was like Jonah who, when told to go to Nineveh and preach the gospel, took a boat in the opposite direction. But to Philip’s credit, he went to the desert. The angel didn’t tell Philip what would happen when he got there. He didn’t have a detailed blueprint. He was being led one step at a time. God’s way becomes plain when we start walking in it. Obedience to revealed truth guarantees guidance in matters unrevealed. If we want to lead others to Christ, then we need to be open to and obedient to the leading of the Holy Spirit. Has the Lord shown you to do something? Then do it. Because there is a time to wait, and there is a time to move. There is a time to sow, and there is a time to reap. If ever there is a place to learn about forgiveness…to practice forgiveness…to struggle with forgiveness…it is in the family. Makes me tired just thinking about it. And interestingly, it is in the context of family where the word forgiveness first shows up in the Bible. Let’s dig into Scripture today. Come on. You can do it. In the book of Genesis, we meet a young man named Joseph—the eleventh of twelve brothers, and favorite son of Jacob. He is most famously known for his elaborate coat of many colors. Young Joseph had several prophetic dreams involving his brothers and father one day bowing down to him. Rather than keep that bit of information to himself, he shared it with his already jealous siblings. When he was seventeen, his brothers had enough of this rather bratty brother. So one day, when Joseph went out to the fields to check on them, they schemed to throw him in a well, shred his fancy coat, and tell Jacob his favorite son had been killed by a wild animal. Just after they had tossed him in the pit, an Egyptian caravan came passing by. Then they hatched another plan; rather than leave Joseph to die, they sold him into slavery and pocketed a bit of money in the process. During his prison stay, he interpreted dreams for some of his fellow inmates and God blessed him. One day the Pharaoh of Egypt had a disturbing dream that no one could interpret. The Pharaoh’s cupbearer, who had been in prison with Joseph, told the King about Joseph’s gift of interpretation. Joseph interpreted the Pharaoh’s dream, and predicted seven years of plenty followed by seven years of famine. The Pharaoh was so enamored with Joseph’s God-given wisdom that he appointed him governor of Egypt, second only to the Pharaoh himself. During the famine, who should show up in Egypt looking for food but Joseph’s conniving brothers? They were terrified when the governor revealed that he was their long lost brother. “I am your brother Joseph, the one you sold into Egypt!” There were tears all around. Don’t you know they were terrified? What would Joseph do? What would you do? This was Joseph’s response to the injustice inflicted by his brothers: “And now, do not be distressed, and do not be angry with yourselves for selling me here, because it was to save lives that God sent me ahead of you…You intended to harm me, but God intended it for good to accomplish what is now being done, the saving of many lives. You meant evil against me, but God meant it for good in order to bring about this present result, to preserve many people alive.” (Gen. 45:5; 50:20). Joseph did not say, “Oh, that’s OK. Don’t worry out it.” No, he called the betrayal what it was—evil against him that resulted in thirteen years of slavery. At the same time, he chose to forgive the wrong done to him, and allow God’s grace to flow through him. He opened the door for reconciliation and entrusted the matter of justice to God. Thus ends the first book of the Bible: Genesis. We close out the epic narrative with a portrait of forgiveness that continues throughout the entire Bible. The word forgive walks out on the stage as a leading character for the entirety of the Scriptures and it began with the words of Jacob—an elderly father making a request to his wronged son. Forgiveness rewrites the ending to your story. Not only does it grease the pain to make letting go of the past offenses easier, it also releases the aroma of hope that helps us reach out to the possibilities for the future. Forgiveness is a continuous theme throughout Scripture and it all begins with a very mixed up family—how appropriate. I’m sort of glad. That gives me great comfort. I hope it does for you. Heavenly Father, family is so messy. We hurt each other and love each other, sometimes at the same time. Help me to forgive quickly. Help me to allow every situation to make me better and not become bitter. Help me to trust in Your sovereignty in every situation. Glance back at today’s devotion. How many ways do you see that Joseph was betrayed? Did he have a lot to forgive in his family? 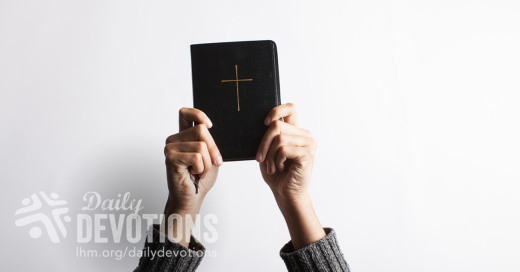 Read these verses again: “And now, do not be distressed, and do not be angry with yourselves for selling me here, because it was to save lives that God sent me ahead of you…You intended to harm me, but God intended it for good to accomplish what is now being done, the saving of many lives. You meant evil against me, but God meant it for good in order to bring about this present result, to preserve many people alive.” (Gen. 45:5; 50:20). How do these verses help you see your hurt through the lens of God’s sovereignty? Today’s devotion was taken from my new book, Take Hold of the Faith you Long For: Let Go, Move Forward, Live Bold. And if there is anything we need to let go of in order to move forward it’s resentment. A mediocre, mundane faith is not what you were made for! 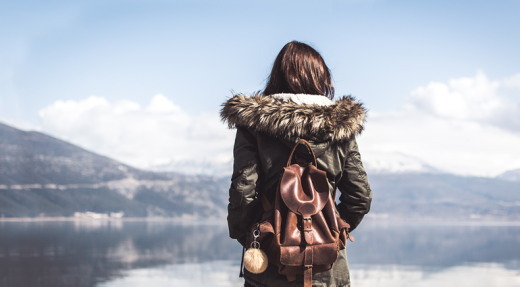 In Take Hold of the Faith You Long For, I reveal the most common reasons we get stuck in our Christian faith, living less than what we had hoped. I show you how to break free of all that holds you back, move forward with all that God promises, and live the adventurous faith of bold believing. It’s time to TAKE HOLD of all that Jesus has already taken hold of for you and placed in you! Click on the book cover to download a sample chapter and view a quick video. And if you’re looking for a new study for your women’s group or individual study, Take Hold includes a Bible Study guide in the back. LHM Daily Devotion - June 20, 2017 "An Unwanted First"
Taimoor Raza has chalked up a first. Now, in many situations and circumstances, being first at doing something is a good thing. For example, we honor the man who was first to walk on the moon, the first to run a four-minute mile, and the first to climb Everest. But there are no such honors being heaped upon Taimoor Raza. You see, Mr. Raza is the first man to be arrested and condemned to death in Pakistan for having written so-called blasphemous things on Facebook. It seems that, one day, Mr. Raza was at a bus stop, minding his own business. All he was doing was listening to his phone. Sadly, that to which he was listening was overheard by a counter-terrorism officer. That officer arrested Mr. Raza and confiscated his phone. During the course of the police investigation, Mr. Raza's writings on Facebook came to light. According to Pakistan's somewhat ambiguous blasphemy laws, that was enough evidence to try and convict him. Thankfully, that is not the end of the story. Mr. Raza still is allowed to appeal his conviction -- all the way up to that country's Supreme Court, should that be necessary. Has it ever occurred to you that there are no such blasphemy laws in the Christian nations of the world? Have you ever thought that nobody in our country is sitting on death row because he has said something disrespectful about the Savior, the Lord's prophets and evangelists, or the Holy Scriptures? The answer is an obvious and significant one. It is an answer which is based on the Lord's loving relationship with His children. Unlike some of the world's "deities" who demand blind and fearful obedience, our Lord has established a relationship which is based on His love and grace. Because of our sinful disobedience, the Lord could have given us all manner of good works to try to earn back His forgiveness and favor. He could have, but He didn't. Instead, in His mercy and grace, He sent His Son into this world to carry our sins, pay their price, and suffer the death we had deserved. Now, because of Jesus' great sacrifice, all those who are called to faith in the Redeemer, are forgiven and granted the gift of eternal life. The Triune God believes that anyone who has seen what He has done will be given a thankful heart and be moved to an attitude of thanksgiving and gratitude. He knows that His people will always do their best to honor His Name and, in every way possible, show their appreciation. Mientras Jesús estaba hablando, se hizo presente una turba, al frente de la cual iba Judas, que era uno de los doce y que se acercó a Jesús para besarlo. Al fallecer, la nurse Edith Shain tenía 91 años. Es posible que el nombre no suene conocido, pero aun así, quizás reconozca su fotografía. Ella es la persona que apareció en la fotografía tomada por Alfred Eisenstaedt besando a un marinero en la plaza Times Square en New York. Dicha fotografía circuló por todo el mundo, e incluso apareció en la revista LIFE. Fue tomada el 14 de agosto de 1945, y se convirtió en el símbolo de la alegría que todo el mundo experimentó cuando terminó la Segunda Guerra Mundial. Sin lugar a dudas, el beso de Edith es uno de los más famosos en la historia del mundo. Es uno de los más famosos, pero no el MÁS famoso. Hay otro beso que es mucho más famoso aún... o quizás sería más justo decir, más "infame". El beso más infame pertenece a uno de los discípulos en quien Jesús confió: Judas Iscariote. Sin lugar a dudas, su beso es el más notorio en la historia del mundo; el suyo fue el beso que traicionó a Jesús, entregándolo en manos de quienes lo odiaban. El beso de Judas fue una acción que marcó el comienzo del sufrimiento y sacrificio final del Salvador... el sufrimiento y sacrificio que terminaría con el Señor de la vida colgando de una cruz romana en las afueras de las murallas de Jerusalén. A través de los años a menudo he pensado que, a su manera, el beso de Judas tuvo que haber sido tan doloroso para Jesús como lo fue la cruz. Algunos de nosotros sabemos cómo se siente ser traicionado por un amigo, un familiar, un compañero de trabajo o estudio, un estudiante, alguien que suponíamos nos iba a ser siempre fiel. Así debía haber sido entre Judas y Jesús. Así debía haber sido entre nosotros y el Redentor. Debía ser... pero a veces no lo es. Debemos admitir que hay veces en que dejamos de lado lo que Jesús ha hecho por nosotros, y elegimos vivir como queremos, en vez de como él quiere. Todos hacemos cosas que traicionan la relación que él estableció en el Calvario y en la tumba vacía. Al igual que Judas, todos traicionamos a Jesús. A diferencia de Judas, debemos reconocer que Jesús ha cargado con nuestros pecados, todos nuestros pecados, a la cruz. A diferencia de Judas, necesitamos recordar que no podemos expiar nuestros pecados... no podemos y no necesitamos, porque Jesús ya lo ha hecho. Es necesario que recordemos que nuestros pecados han sido perdonados y olvidados. Gracias a Jesús ya no existen. Y por esto damos gracias. Um artista tornou-se popular após o terror de 11 de setembro de 2001. Ele canta a música “Super-homem, não é fácil”, uma balada que imagina como nos sentiríamos se fôssemos super-heróis. Mas ele luta com a insuficiência de suas forças para lidar com as complexidades do mundo. Muitos parecem ter se identificado com o tema da canção. A vida real prova que não somos capazes de batalhar com os fardos esmagadores com os quais nos confrontamos. Mesmo os que querem ser autossuficientes não podem lidar com a vida, com suas próprias forças. Como seguidores de Cristo, temos um recurso que nem mesmo o Super-homem pode reivindicar. Em nosso relacionamento com Deus, encontramos a suficiência para a vida, que pode superar nossa fraqueza e capacitar-nos a viver de forma vitoriosa. Esse foi o encorajamento de Paulo aos nossos corações quando escreveu aos cristãos de Corinto. Ele disse: “…não que, por nós mesmos, sejamos capazes de pensar alguma coisa, como se partisse de nós; pelo contrário, a nossa suficiência vem de Deus” (2 Coríntios 3:5). Isso faz toda a diferença do mundo. Deixados a sós, seremos forçados a encarar o fato de que nunca seremos capazes de lutar com a vida. Mas com as forças de Deus encontramos tudo que necessitamos para navegar pelas tempestades da vida, neste mundo turbulento. Precisamos experimentar nossa fraqueza a fim de experimentarmos o poder de Deus. Tại nơi làm việc, những lời khích lệ rất quan trọng. Cách nhân viên nói chuyện với nhau tác động đến sự hài lòng của khách hàng, lợi nhuận của công ty và sự cảm kích của đồng nghiệp. Các nghiên cứu cho thấy thành viên của các nhóm làm việc hiệu quả nhất thường nói lời công nhận, khích lệ nhau gấp sáu lần so với lời phản đối, bất đồng hay mỉa mai. Các nhóm ít hiệu quả nhất thường nói những lời tiêu cực gấp ba lần những lời ích lợi. Sứ đồ Phao-lô đã kinh nghiệm về giá trị của lời nói trong việc xây dựng các mối quan hệ và kết quả của việc đó. Trước khi gặp Đấng Christ trên đường đến Đa-mách, lời nói và hành động của ông đã đe dọa các môn đồ của Chúa Jêsus. Nhưng khi viết thư gửi cho người Tê-sa-lô-ni-ca, ông đã trở thành một người luôn khích lệ vì Chúa đã hành động trong lòng ông. Từ tấm gương của mình, ông kêu gọi độc giả khích lệ nhau. Trong khi cần tránh sự xu nịnh, thì ông cũng chỉ cách để khích lệ người khác và bày tỏ Thánh Linh của Đấng Christ. Bên cạnh đó, Phao-lô nhắc độc giả sự khích lệ đến từ đâu. Ông nhận thấy rằng khi phó thác chính mình cho Chúa, Đấng yêu thương chúng ta đủ để chết thay cho chúng ta, thì chúng ta có lý do để an ủi, tha thứ, truyền cảm hứng và thách thức nhau trong tình yêu thương (I Tês. 5:10-11). Phao-lô cho chúng ta thấy rằng khích lệ lẫn nhau là một cách để giúp nhau nếm biết sự nhịn nhục và nhân từ của Chúa. Lạy Cha trên trời, xin giúp chúng con bày tỏ cho người khác lòng thương xót và nhân từ mà Ngài đã ban cho chúng con luôn luôn. Còn gì tốt hơn khi làm hết sức để khích lệ nhau bày tỏ điều tốt nhất? Por lo cual, animaos unos a otros, y edificaos unos a otros, así como lo hacéis (v. 11). En el trabajo, las palabras de ánimo son importantes. La manera en que los empleados se hablan afecta la satisfacción del cliente, las ganancias de la empresa y el aprecio entre colegas. Según estudios, en los grupos laborales más eficaces, sus miembros intercambian seis veces más afirmación que desaprobación, desacuerdo o sarcasmo. Los equipos menos productivos suelen usar al menos tres comentarios negativos por cada palabra amable. Pablo conocía el valor de las palabras para formar relaciones y lograr resultados. Antes de conocer a Cristo, sus palabras y acciones aterrorizaban a los seguidores de Jesús. Pero, cuando escribió su carta a los tesalonicenses, había aprendido a dar ánimo, gracias a la obra de Dios en su corazón. Ahora, instaba a sus lectores a animarse unos a otros, y les mostró cómo afirmar a los demás y reflejar el Espíritu de Cristo. En el proceso, Pablo les recordó a sus lectores de dónde proviene el ánimo. 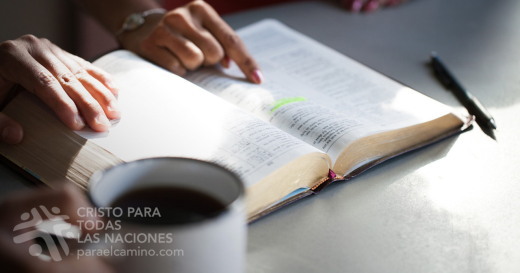 Para él, entregarnos en manos de Dios, quien nos amó de tal manera que murió por nosotros, nos da razón para consolarnos, perdonarnos, inspirarnos y desafiarnos con amor unos a otros (1 Tesalonicenses 5:10-11). Pablo nos muestra que el ánimo es una forma de ayudarnos a experimentar la paciencia y la bondad de Dios. Padre, que podamos mostrar a los demás tu misericordia y bondad. ¿Qué mejor que esforzarnos por sacar lo mejor los unos de los otros? Ermutigung am Arbeitsplatz ist wichtig. Wie Angestellte miteinander reden, hat einen Einfluss auf Kundenzufriedenheit, Firmengewinn und das Betriebsklima. Studien zeigen, dass Mitglieder erfolgreicher Teams einander sechsmal öfter bestätigen, als missbilligend, ablehnend oder sarkastisch zu reagieren. In weniger produktiven Teams hingegen kommen auf jedes hilfreiche Wort fast drei negative Äußerungen. Paulus lernte durch Erfahrung, wie wertvoll Worte für die Pflege von Beziehungen sind. Bevor er auf der Straße nach Damaskus Jesus begegnete, terrorisierte er die Nachfolger Jesu in Wort und Tat. Doch Gott wirkte in seinem Herzen, und bis er seinen Brief an die Thessalonicher schrieb, war er ein großer Ermutiger geworden. Nun forderte er seine Leser auf, seinem eigenen Beispiel zu folgen und einander zu ermutigen. Er zeigte ihnen, wie sie einander Bestätigung geben und etwas vom Geist Jesu widerspiegeln konnten, ohne allzu schmeichlerisch zu werden. Gleichzeitig erinnerte er sie daran, wo der Grund für die Ermutigung herkommt. Wenn wir uns selbst Gott anvertrauen, der uns so sehr liebt, dass er für uns starb, haben wir alle Ursache, einander zu trösten, vergeben, aufzubauen und zu ermahnen (1.Thess. 5,10-11). Wenn wir einander so ermutigen, können wir anderen eine Ahnung von der Geduld und Güte Gottes vermitteln. Himmlischer Vater, bitte hilf uns, einander eine Ahnung von der Güte und Freundlichkeit zu vermitteln, die du uns schenken willst. Was könnte besser sein, als uns dafür einzusetzen, dass das Beste in uns zum Vorschein kommt? Au travail, les paroles d’encouragement comptent. La façon dont les employés parlent entre eux influence la satisfaction des clients, la rentabilité de l’entreprise et l’estime d’autrui. Des études ont démontré que les membres des équipes les plus efficaces s’expriment réciproquement six fois plus de paroles d’affirmation que de désapprobation, de désaccord et de sarcasmes. Les équipes les moins efficaces ont tendance à émettre près de trois remarques négatives pour chaque parole constructive. Paul a appris par expérience en quoi les paroles contribuent à façonner relations et résultats. Avant de rencontrer Christ sur le chemin de Damas, il terrifiait les disciples de Jésus par ses paroles et ses actions. Le jour où il a écrit l’épître aux Thessaloniciens, il était cependant devenu quelqu’un de très encourageant en raison de l’oeuvre que Dieu avait accomplie dans son coeur. Par son propre exemple, il exhortait maintenant ses lecteurs à s’encourager les uns les autres. Tout en veillant à éviter de tomber dans la flatterie, il a montré comment affirmer les gens et refléter l’Esprit de Christ. Ce faisant, Paul a rappelé à ses lecteurs d’où provient l’encouragement. Il avait constaté que le fait de nous confier en Dieu, nous donne des raisons de nous consoler, pardonner, inspirer et gentiment exhorter les uns les autres (1 TH 5.10,11). Paul nous montre que de nous encourager ainsi nous aide réciproquement à goûter à la patience et à la bonté de Dieu. Quoi de mieux que d’amener l’autre à donner le meilleur de lui‑même ? На робочому місці слова підбадьорення мають неабияке значення. Те, як співробітники спілкуються один з одним, впливає на рівень задоволення клієнтів, прибутки компанії і робочу атмосферу. Дослідження показують, що в найбільш успішних робочих колективах люди кажуть в шість разів більше схвальних слів, ніж слів осуду чи сарказму. І навпаки, в найменш успішних колективах на кожне позитивне слово приходиться три негативних коментарі. Апостол Павло на власному досвіді пізнав важливість слів у побудуванні стосунків і досягненні результатів у служінні. До зустрічі з Христом на шляху в Дамаск він словами й ділами тероризував послідовників Ісуса. Але на той час, як апостол писав Послання до солунян, він, завдяки великій Божій роботі в його серці, став людиною великого підбадьорення і спонукав читачів втішати один одного. Апостол Павло демонстрував, як потрібно підтримувати інших, відображаючи Дух Христа. При цьому апостол нагадував своїм читачам, Хто є Джерелом всякої втіхи. Довіра Тому, Хто так полюбив, що вмер за нас, – це чудова причина втішати інших, пробачати, надихати і з любов’ю виправляти (1 Сол. 5:10-11). Апостол Павло показує нам, що взаємне підбадьорення – це один із способів духовної допомоги і відображення терпіння й благості Бога. Отче Небесний, допоможи нам являти один одному ту милість та ласкавість, якими Ти благословляєш нас щодня. Як чудово виявляти в інших найкращі якості! Оказывается, для успеха в работе очень важны слова ободрения. Общение сотрудников между собой отражается на удовлетворенности клиентов, прибылях компании и атмосфере в коллективе. Исследования показали, что участники наиболее эффективных рабочих групп ободряют и хвалят друг друга в шесть раз чаще, чем критикуют или спорят. И напротив, наименее продуктивные команды на каждое доброе слово выдают почти по три негативных. Павел узнал на опыте, как важны слова в построении отношений и в служении Богу. До встречи со Христом на дороге в Дамаск его слова и действия приводили в страх учеников Господа. Но ко времени написания Первого послания к фессалоникийцам он стал великим утешителем благодаря труду, произведенному Богом в его сердце. Теперь на своем примере он убеждал читателей ободрять друг друга. Избегая лести, он показывал, как христианам следует поддерживать друг друга в духе Христовом. Попутно Павел напоминал читателям, откуда приходит ободрение. Посвященность Богу, возлюбившему нас до смерти крестной, дает нам главный мотив для утешения, прощения, ободрения и кроткого обличения братьев и сестер (1 Фес. 5:10-11). Павел показывает, что взаимное ободрение помогает нам лучше понять и ощутить терпение и доброту Божью. Отче Небесный, помоги нам проявлять к другим милость и доброту, которые Ты явил нам. Как прекрасен труд, направленный на то, чтобы выявить лучшее друг в друге.